Chinese bigwig Chen Deming was in Taiwan last week, and he made some awkward comments. Chen is one of the top officials in charge of China’s Taiwan policy, so he might be expected to have a nuanced understanding of Taiwan’s democratic politics or have a feel for how certain comments might be received. Apparently not. First, Chen praised the Want China Times group for upholding the freedom of the press. Yes! We all know that the CCP and PRC are fervently dedicated to the freedom of the press! And Want Want has a long track record of insisting on the facts, no matter how inconvenient they are! Second, Chen suggested that public opinion isn’t always right, and sometimes history judges people who at one time had majority support very negatively. You know, like the Nazis. Yes, exactly! Why didn’t we see that before? Tsai Ing-wen is clearly the second coming of Hitler! Thanks to Chen Deming’s incisive argument, I’m sure voters’ eyes have been opened to the DPP’s true nature, and next week’s polls will show the KMT surging into the lead. There is a “law” that the first person to bring up Hitler loses the argument, since the analogy is almost always ill-advised. Now, East Asians aren’t as sensitive about Nazism and Hitler as Americans or Europeans, but even in this part of the world most people know that you have to wait for a fairly serious case to bust out the Hitler comparisons. This kind of crude overkill (How in the world is Tsai like Hitler?? Hell, she isn’t even very charismatic.) says more about the person making the argument than the target of the argument. By now, China should know that their best strategy for dealing with Taiwanese elections is to just shut up. When they say such outlandish things, it leads Taiwanese to think that “they” simply don’t think the way that “we” do. Moreover, the Taiwanese electorate is fiercely protective of its autonomy, and anything China says or does will backfire. But they can’t help themselves. Internal pressures force Chinese officials to try to stick their noses in. What’s more surprising is that, after all these years, they are still so clumsy at it. As I sit down to write tonight, it was almost exactly one week ago that news of the Ma-Xi meeting broke, and I thought it would be instructive to look at the role of the media in this episode. I’m going to do this through the lens of three reporters. The first is Ho Chen-chung 何振忠 from the United Daily News. Ho was the first reporter called on to ask a question at Ma’s press conference. There was a reason for this. After answering Ho’s question, Ma feigned surprise that Ho was there and then praised him for being present once again at such an important historical juncture. Ma then showed a copy of the story Ho had written in 1992 in Singapore. This story forms the basis for Ma’s insistence that the 92 Consensus does indeed date to 1992, so Ma’s comment was intended both to kiss up a friendly media outlet and also to bolster his ideological position. (I wrote about the UDN’s reporting of events in 1992 here.) The UDN eagerly soaked up this blatant flattery, publishing this story basking in the enormous face Ma had given them. For a paper that considers itself to be the newspaper of record in Taiwan, the New York Times of Taipei, if you will, this was tremendously gratifying. To complete this circle of mutual love, Ho lobbed a big fat, juicy, softball right into Ma’s wheelhouse, asking what expectations Ma had for the next president to be able to accomplish the five concrete plans that Ma and Xi had agreed upon. Look, I know Taiwan has a partisan media, but this was a little too cooperative for me. The point of having experienced reporters is that they are supposed to have a sense of context so that they can ask incisive questions. There were lots of tough questions waiting to be asked, but Ho amiably gave Ma an opportunity to say exactly what Ma wanted to say. This episode took me back to 1992 in more ways than one. The second person is Clara Chou 周玉蔻, who is no stranger to the limelight. She made scenes during both Zhang Zhijun’s and Ma Ying-jeou’s press conferences, demanding that they answer inconvenient questions. If I had to describe her in one word, it might be “screechy.” Nevertheless, even if I suspect her actions were motivated as much be ego and a desire for the spotlight, it was extremely welcome. The media is supposed to ask tough questions, and it should call attention to politicians who try to avoid those questions. If China wants to swallow up Taiwan, it should be aware that it will have to digest an aggressive an impolite media that will not passively repeat government platitudes. Chou sent that message loudly, clearly, and shrilly. The third person is Tsou Ching-wen 鄒景雯 from the Liberty Times. Tsou scooped the rest of the media and the legislature twice, first by breaking the news of the meeting and then by reporting that the Ma administration was considering softening the language of the 92 Consensus. With these two stories, she single-handedly shaped the media coverage of the entire episode, both domestically and internationally. Tsou broke the story only about 12 hours before the government wanted to announce the news, but those 12 hours were critical. As far as I can tell, the government planned to report the trip to legislative leaders in a closed-door session on Wednesday morning, and then they would hold a press conference announcing the trip to the public. This would have let them have the first shot at framing the story. Reporters are like the rest of us, and they will use what they have at hand to write a story. They would have all had government press releases and information packets, and many reporters would have relied heavily on that to write their first stories. They would have heard about opportunities for peaceful interaction, that 80% of the public supported top-level meetings, how this would build a bridge for future presidents, and so on. Some reporters would have sought out opposition reactions, but it would have taken a few hours for a surprised opposition to come up with a coherent response. The first stories would have come out in the United Evening News, which is now the only afternoon newspaper left and is, along with its sister paper UDN, among the most friendly to the Ma administration. The UEN doesn’t have a big audience, but it has a big influence on how the evening TV news channels frame their news. In short, the government would have had the first opportunity to present its story, and the opposition would have been playing catch-up. However because Tsou broke the story 12 hours before the government was ready, this is not what happened. She posted her story at 10:30pm, which was too late for the evening TV news cycle, and the newspapers only had very basic coverage for the next day. Even her own Liberty Times didn’t have time to put together too much coverage of the story for the next day’s paper. However, this was not too late at all for international news outlets, especially those based in the USA and Europe. Their problem wasn’t time, it was sources. Since the government bureaucrats were all gone for the night, they didn’t have anyone to interview. Here, civil society and the internet stepped into the breach. Respected media outlets don’t normally quote blogs, but they quoted my 4:00am post, which I wrote through bleary eyes while lying in bed. I certainly wasn’t the only source like this. By the time the government officials started working in the morning, a narrative had already started to form. Ma was a lame duck president with low popularity trying to build a personal legacy by doing something that he hoped would rescue his party’s dismal hopes in the upcoming election. From the start, public opinion and awareness that the KMT was facing an election defeat were major ingredients shaping nearly every international media story. Instead of writing glowing stories about a major diplomatic breakthrough, there were stories about an impotent president throwing desperate Hail Mary passes. The Ma administration never really recovered control of the narrative in the international media. Domestically, instead of walking into a press conference completely unprepared, the press corps went to work foaming at the mouths and in full attack mode. Why was this visit negotiated in secrecy? Did Speaker Wang know about it? Who was the leak? Why did Ma, being an unpopular lame duck, think he had the legitimacy to take this initiative? The TSU legislators showed up, screamed for the cameras, and stormed out. NPP leader Huang Kuo-chang led a group of demonstrators and gave a fiery speech denouncing the move. Instead of controlling and leading the media, the Ma administration was on the defensive right from the beginning. They recovered somewhat, but the early combative tone ensured that the administration’s discourse would never dominate the domestic public discussion. Tsou once again scooped the rest of the press corps on Friday, when she reported that Ma was considering softening the wording of the 92 Consensus. I’m not sure how much of an effect this had, but it did cause MAC Chair Andrew Hsia to have to answer inconvenient questions about this topic before he wanted to. It also might have played some role in convincing Hsia to later report that the MAC bureaucrats wanted to include the detailed version of the 92 Consensus and that Ma was responsible for softening the text. It looks to me like Hsia, a career civil servant, decided that he did not want the professional bureaucrats to have to take political responsibility for Ma’s decision. This week Ho and Chou got a lot of media attention, but Tsou was the reporter who made a real difference. Tsou Ching-wen gave real meaning to the idea that the media is the Fourth Estate and plays a critical role in maintaining democracy by overseeing the government. Tsou Ching-wen, this week, you are my hero. http://thinking-taiwan.com/ma-xi-historic-meeting-singapore/After a long day with a full schedule, I don’t have the energy to do a full recap of my thoughts on the Ma-Xi meeting. Michael Cole has written an excellent summary of the events, so look there for a blow by blow account. I want to focus on two questions. First, was there any important breakthrough? That is, did the two sides depart from any of their previous positions? I don’t think that anything significant happened. On the critical question of One China, both sides basically stuck to their previous positions. There was a lot of splitting hairs here in Taiwan, with some complaining that Ma didn’t add the phrase “each side with its own interpretation” in his statements before the meeting, for instance. However, I think that Ma used the phrase “92 Consensus” enough times to make it clear that he was not abandoning that position. Interestingly, I think Ma may have actually made a mistake and provided an opening for Tsai Ing-wen to exploit. As an ardent Chinese nationalist, Ma’s purpose has always been to forestall any possibility of Taiwan independence. In this, he and Xi are allies. For domestic political purposes, Ma also wanted to say the words “ROC” in Xi’s presence, though he wanted to do this without causing offense. To do this, Ma explained to Xi that “One China, Each Side with its own Interpretation” does not mean Taiwan independence or One China, One Taiwan “because the ROC Constitution does not allow those.” In making this statement, Ma was subordinating the 92 Consensus to the ROC constitution, saying that the 92 Consensus follows logically from his interpretation of the ROC constitution. Here’s the problem: His interpretation of the ROC constitution is obviously wrong. Anyone who spends a few minutes in Taiwan will realize that there are lots of people who are advocating and organizing for Taiwan independence. It is not illegal to pursue Taiwan independence or One China, One Taiwan in Taiwan today. Even Ma Ying-jeou himself once took out an ad in a major Taiwan newspaper stating that Taiwan independence was a legal, though not desirable, option for the Taiwanese people. Ma might be correct that the original 1945 constitution did not allow Taiwan independence, but that constitution no longer governs the country. The constitutional order that exists today is based on that original document, but it has been modified many times (by the people of Taiwan) and augmented by many judicial interpretations. These later modifications supersede the original text. (As an American, Ma’s reading reminds me of those people who think the income tax is unconstitutional since they think the original text of the constitution is higher than the 16th Amendment. They are simply wrong.) Tsai Ing-wen has stressed that she will be bound by the constitutional order, which clearly allows options other than eventual unification with China. By Ma Ying-jeou’s logic of subordinating the ROC’s orientation to China to the constitutional order, the 92 Consensus is itself unconstitutional unless it allows for a wider array of options. In other words, grounding the policy in the constitution requires a future president Tsai to insist that a democratic Taiwan must be allowed to democratically choose its future from among all options. Of course she was always going to go in this direction, but I wonder if, instead of boxing her into a One China framework, Ma has inadvertently made it easier for her to escape that trap. The biggest breakthrough of the meeting was the meeting itself. Ma and Xi got a nice handshake. It will make good fodder for deep green and, to a lesser extent, deep blue candidates’ campaign ads. Other than that, not much substantive happened. The second big question is how all of this plays back at home. Did Ma score political points? Again, I think the answer is that this won’t have too much of an effect. The blue side will think that Ma did a great job, while the green side will wonder how in the world he has the gall to shamelessly do these things. He will try to sell some things as accomplishments. For example, he will talk about how he dared to raise controversial points directly to Xi’s face. I think he won’t get a lot of credit for this. For example, he talked about the missiles, and Xi said that those weren’t targeted specifically at Taiwan. Well, they are. We all know they are. And they still are. Xi didn’t offer to untarget them. Even if he had, we all know that it takes about 20 seconds to retarget them. Ma can try to claim credit, but the PRC isn’t diminishing its military threat to Taiwan. What exactly is he claiming to have accomplished? Ma asked for the PRC to stop continually insulting Taiwan NGOs and government organizations. How long do you think it will be before the next case of some Chinese nationalist demonstrating his or her patriotism by declaring to Taiwanese that they aren’t from a real country? Within a few weeks, the narrative will be that Chinese STILL do that, even though they now know that Taiwanese hate it. As for RCEP and AIIB, these are things that are desired primarily by big businesses, and big businesses are already in bed with the KMT. On the other hand, I don’t think Ma overplayed his hand. The complaints are mostly the same ones that the opposition has been lobbing at him for several years. He conducted all the negations in secrecy and didn’t respect the principle of transparency. He didn’t talk about the right of Taiwan’s voters to decide their own future. His top goals were for his party, his nationalist dreams, and his personal glory, not for the people of Taiwan. He didn’t insist on an appropriate level of dignity and mutual respect. He is actively trying to move the country toward unification. I am not suggesting that these attacks aren’t warranted. Many of them clearly are. However, if you weren’t swayed by these attacks two weeks ago, you probably won’t be swayed by them next week. I think Ma will probably experience a small bump in his popularity, but any positive effects in the legislative races will be offset by the negative effects of nationalizing the race. Ma and the KMT are still overwhelmingly unpopular, and the election has now been reframed in terms of high politics. Given that the KMT’s best chance of surviving January is the local popularity (based on things like intensive constituency service) of their 40 incumbents, forcing voters to think about national issues (ie: vote for the party, not the individual) is perhaps not the wisest strategy. In the presidential polls, Tsai is so far ahead that there is almost no chance that the Ma-Xi meeting will affect the outcome. (Before this all broke, most polls had her ahead by around 20%, and the gap was widening. Historically, a 20% gap in polls has usually meant something around a 20% margin in the final vote. So I wouldn’t be shocked if the roughly 45-23% gap ends up as a 58-36% victory.) Ma has tried to argue to voters that Tsai can’t conduct relations with China since she won’t accept the 92 Consensus. According to hundreds of polls, the voters haven’t bought that message so far. I didn’t see anything this weekend that would make them change their minds en masse. This rumor is credible for two reasons. First, Tsou is the reporter who broke the news of the Ma-Xi meeting on Tuesday night. She has good sources, and she has been ahead of everyone else on this story. Second and more important, the media asked MAC Chair Andrew Hsia 夏立言 whether Ma would accept the One China principle, and Hsia did not deny it. This is potentially a big move. Essentially, the ROC government position would be moving to the “One China with the same interpretation” 一中同表 position that Hung Hsiu-chu proposed earlier this year. That position had so little support in Taiwan society that the KMT was forced to back away and retreat to the less offensive 92 Consensus. Eric Chu pronounced her to be out of step with mainstream public opinion, her support in the polls fell to the low teens, and the KMT eventually replaced her as its nominee. If the government does take this step tomorrow, it will be doing so in defiance of clearly established popular opposition. This would also a violation of the spirit of his promise not to issue a joint communiqué or promise to sign any agreements – a promise that isn’t even a week old! He would be putting the ROC on record in a very public way in an effort to try to confine it to a particular course. I really hope this is a groundless rumor. I did a few media interviews about the Ma-Xi meeting yesterday, and they all asked me about the reaction here in Taiwan. My answer was simple: I have no idea. Because the news broke so late on Tuesday night, we missed the evening news cycle, the talk shows, and yesterday’s newspapers only had very cursory coverage. In addition, I have been stuck in my office trying desperately to bang about a paper for an upcoming conference (for my, um, real job). So last night I went home, watched the news and some parts of a few talk shows, read a bit of online coverage, and chewed this all over with Mrs. Garlic. (In case you haven’t figured it out, she is the brains in the family.) So, what do I think about the reaction here in Taiwan? I have been most impressed by how calmly society reacted to the news. The radical independence forces made an effort to protest. There was some good TV footage of smoke bombs being thrown at the presidential office, but it was only three young men on motorcycles. As they were being arrested (without much of a struggle), there were a lot more media than protest supporters in the pictures. New Power Party chair Huang Kuo-chang led a small protest and gave a fiery speech denouncing President Ma, and in the LY, TSU legislators screamed a bit at the delegation from the presidential office who had come to report on the trip. There were also a few scattered calls to impeach Ma. However, if the radicals were busy being suitably radical, the mainstream opposition took a more low key approach. DPP chair and presidential candidate Tsai Ing-wen set the tone with her official statement. She started by affirming the general idea of cross strait interactions, if done with mutual respect, transparency, and without political preconditions. Her objections were entirely focused on the specifics of this particular meeting. She objected that Ma has lost public confidence necessary for any major cross-straits initiatives. Further, she objected to him making any deals that would trade Taiwan’s long-term interests for his party’s short-term gains or that he, as an outgoing president, would not be responsible for. In the official DPP statement, the party also objected to the suddenness of the announcement, which it claimed ran counter to the necessity for transparency and legislative oversight. In short, she objected to the specifics surrounding this meeting, but she has no objection to the general idea of holding meetings between the two presidents. The green talk shows echoed this sentiment. While there was a lot of complaining about the suddenness, the secrecy, and the possibility that Ma’s motivation was primarily for his own legacy, I didn’t hear many people question why Taiwan’s president would ever want to meet with China’s. To me, this suggests a quiet confidence in Taiwan. Government officials from both sides are talking all the time. Simply bumping up the level to the presidents doesn’t really change much. If Taiwan could survive lower-level contacts, it should be able to manage higher-level contacts just fine. There isn’t a great fear the China will be able to use that imagery in the international media and diplomatic circles as evidence that Taiwan is subordinate to the PRC. In fact, many of the people on the green talk shows raised the question of why Xi is willing to meet with Ma. One of the most common suggestions was that Xi is facing his own domestic political struggles, and he needs this diplomatic breakthrough to burnish his own credentials. Another suggestion was that Xi is trying to break through American efforts at containment, especially in the South China Seas disputes, where Taiwan happens to own the only real island. The subtext was that China needs this as much as Ma does, and this will still be the case after Ma leaves office. China engaged Taiwan during the Chen presidency over the three small links and tariffs even without the 92 Consensus (gasp!) because it was in China’s interests to do so. When Ma leaves office, China will still need to engage Taiwan, with or without One China or the 92 Consensus. We should probably think about all these results qualitatively rather than quantitatively. There is a good deal of support in society at the abstract level for presidential-level meetings, as long as they are conducted with suitable levels of mutual respect. Remember, this all rests on a deep foundation of willingness to engage in the international economy. Taiwanese are overwhelmingly in favor of better trade relations with the rest of the world, though Taiwanese are a bit warier of China than other countries. In this particular instance, Taiwanese society seems willing to keep an open mind about the Ma-Xi meeting. However, these results depend on the conditions surrounding the meeting. The reminder that Ma’s term is nearly up seemed to depress support just as the condition of mutual respect raises it. We will see much more informative numbers early next week after people watch the actual meeting and decide whether Ma went beyond his mandate and whether he was accorded sufficient dignity. I don’t think election strategy was the first concern for either Ma or Xi. However, there is a potential strategy buried under all the diplomacy. I think Ma was hoping that Tsai would immediately denounce the meeting. He would then have responded by drawing the electoral choice as starkly as possible as a choice between a Taiwan with economic ties in China and one that is completely cut off from China. Because of the deep commitment that Taiwanese have to (almost all) free trade, he could hope to rebuild the 2008 and 2012 coalitions that put the KMT into office. Tsai refused to fall into that trap by affirming the general principle of engagement. Ma wants to argue that only the KMT can deal with the PRC, but Tsai essentially rejected that premise by responding calmly and objecting only to Ma’s secrecy, opaqueness, and possible selfish motives. In the Pollcracy data, 40+% of people who supported Tsai for president also expressed support for the Ma-Xi meeting. (Again, don’t worry about the exact number. The point is that it is a substantial proportion.) These are people who want contacts with China and also want Tsai to be president. Ma wants to argue that they can’t have both, and Tsai’s job over the next two months is to reassure them that they can. In my previous post, I stated that the Ma-Xi meeting increases the probability of a DPP landslide in the presidential and legislative elections. Let me elaborate a bit on the legislative races. One of the most important effects of the meeting will be to nationalize the legislative elections. In other words, this increases the importance of national considerations and decreases the importance of local considerations. When the future of the country is under discussion, fixing potholes in roads seems a bit less important. Nationalizing the elections will have different effects in different places. In Taipei City, it will make the DPP’s strategy of cooperating with Chinese nationalist candidates in Taipei 4, Taipei 7, and Taipei 8 much more difficult. DPP supporters will not be as willing to cast a vote that could be construed as sympathy for increased integration with China in this atmosphere. However, the KMT was probably going to win those races anyway, so the substantive effect might not be that great. Much more important is that the KMT has dozens of incumbents running in districts that Tsai Ing-wen will win handily in the presidential race. In these districts, the KMT strategy has been to localize the election. These candidates have been telling voters to remember their personal connections, years of constituency service, and record of helping the local economy. A couple weeks ago, Eric Chu told an audience, “Don’t vote for the DPP just because you don’t like the KMT.” Those arguments just became a lot less convincing. Last week the KMT put out some estimates (which seemed extremely optimistic to me) that they could win 50 seats, and these included 8 seats in central Taiwan as well as 8-9 in New Taipei and all 6 in Taoyuan. 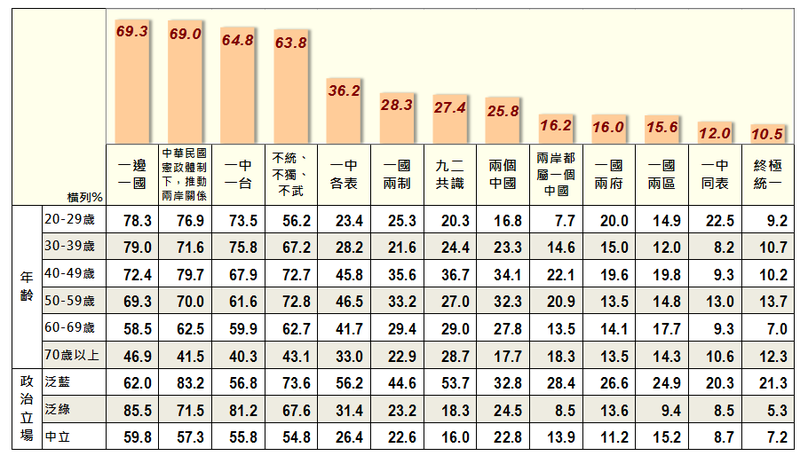 5 of those targeted seats in central Taiwan, 4-5 in New Taipei, and 2-3 in Taoyuan will now be under extreme pressure. These include KMT incumbents like Cheng Ju-fen, Wang Mei-huei, and Yang Chiung-ying. If I am correct in assuming the KMT was far too optimistic, then this could affect the next tier of seats. I can even see this being the boost that would put New Power Party leader Huang Kuo-chang into the legislature. Huang is running against deep blue KMT legislator Lee Ching-hua, but New Taipei 12 is not filled with deep blue voters. The KMT has historically had comfortable majorities here, but these are probably light blue votes. Lee has tried to sell his constituency service, but he isn’t a great fit. If this election turns into a referendum on Taiwan’s future, Lee’s unabashed Chinese nationalism is going to be a heavy liability. To the extent that Ma is thinking about elections, he seems to be calculating that by injecting cross strait relations into the debate, he can polarize the electorate along the blue-green lines that delivered electoral victories to the KMT in 2008 and 2012. What this overlooks is that those lines have almost certainly shifted decisively toward the green side. Unless he can produce some dramatic outcome that might cause large numbers of voters to reconsider their fundamental assumptions about Taiwanese politics, nationalizing the election is not going to save the KMT. I don’t usually post with immediate reactions to breaking news. I prefer to let things sink in and roll ideas around in my head for a while first. However, Ma’s announcement that he will meet Xi Jinping in Singapore is a big deal. So here are some of my thoughts. The announcement was done very stealthily. As far as Mrs. Garlic can determine, the Liberty Times was the first one to post the story online (at about 10:34pm, or an hour before Central News Agency). In other words, the presidential office didn’t intend to break the story just yet. I think this means they wanted to wait as long as possible in order to preclude any mobilization of public opposition that might force them to cancel the trip. It is hardly a triumphant visit when you have to do it stealthily. Taiwan’s relationship with China, broadly conceived, shapes every aspect of Taiwanese politics. You probably shouldn’t be sneaking around behind the public’s back. The presidential office has promised that it will not sign any agreements, and Ma and Xi will not issue a joint statement. That doesn’t mean nothing significant will happen. I’m not sure if there will be any private meetings, or if all discussions will be in front of the media. It really isn’t an ideal bargaining situation for Taiwan. It has a discredited lame duck president who desperately wants to cement his place in Chinese history in the seven remaining months. He will be eager for anything to make him look like he is achieving a significant breakthrough. Ma’s desperation gives China all the leverage. Indeed, one wonders what Ma had to concede in order to secure this meeting. Ma apparently thinks that simply by meeting and publicly shaking hands with Xi, he will transform the dynamics of the election. This will prove that the KMT’s approach is bearing real fruits. I’m not so sure. There certainly is the potential that this meeting could shake the election up. However, for it to provide a real boost to KMT electoral prospects, I think something more than a simple handshake would be necessary. For example, Ma might directly introduce himself to Xi as “President of the Republic of China, Ma Ying-jeou.” Alternatively, Xi could state his support for the “92 Consensus, that there is One China, each side with its own interpretation.” And if Xi were to state, that the Republic of China and People’s Republic of China are both parts of One China, that might really have an impact. However, I don’t think there is much chance of any of this happening. KMT leaders have always understood that one of the fundamental premises of cross-strait relations in the current KMT-CCP model is that they are never to directly confront China with the existence of the ROC. From China’s point of view, they are playing a long game. They are unlikely to make any concessions for a short-term gain. I simply can’t imagine Xi taking – or even wanting to take – such a risk right now. What is more likely is that this trip will create a strong backlash in Taiwanese society. Many people will be very uneasy at the prospect of an unpopular lame duck president trying to fundamentally change the status quo in the last few months of his presidency. Ma simply does not have any popular mandate for cross-straits negotiations right now. The more he tries to accomplish, the larger the backlash will be. Ma might assume that a picture of him shaking hands with Xi will be a powerful image for KMT campaign ads, but I suspect he is misjudging the electorate. I would not be at all surprised if that photo does not show up more frequently in anti-KMT ads, facebook posts, youtube videos, and tweets. Instead of symbolizing the success of the KMT’s strategy for dealing with China, I believe that photo will come to symbolize Ma’s insistence on putting his personal interests (ie: his legacy) ahead of the national interests. There is a real risk that this could lead to an extremely polarized environment. You can expect anti-Ma demonstrations this weekend, and they might be quite large. Depending on how far Ma goes, we might be in for a tense few next few weeks. Electorally, I think Ma’s visit makes the probability of a DPP landslide in both the presidential and legislative elections larger. Such a landslide would have the effect of repudiating any initiatives that Ma tries to push. However, the process could be quite tumultuous, and it will be impossible to erase the precedent of the meeting. I hope I’m overreacting and I wake up much less pessimistic tomorrow. You are currently browsing the archives for the cross straits category.